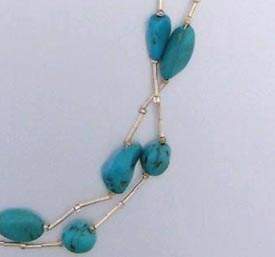 Turquoise and Liquid Silver bead necklace. 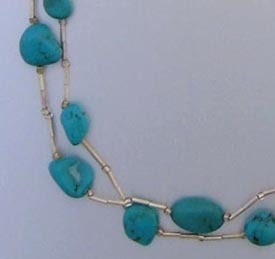 Turquoise is one of the oldest stones known to man. 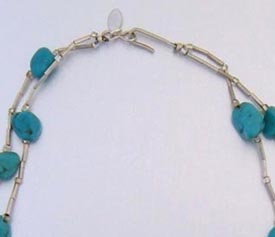 It's believed to carry wisdom and truth, luck, love and healing powers. Maybe that's why it's been around for so long. 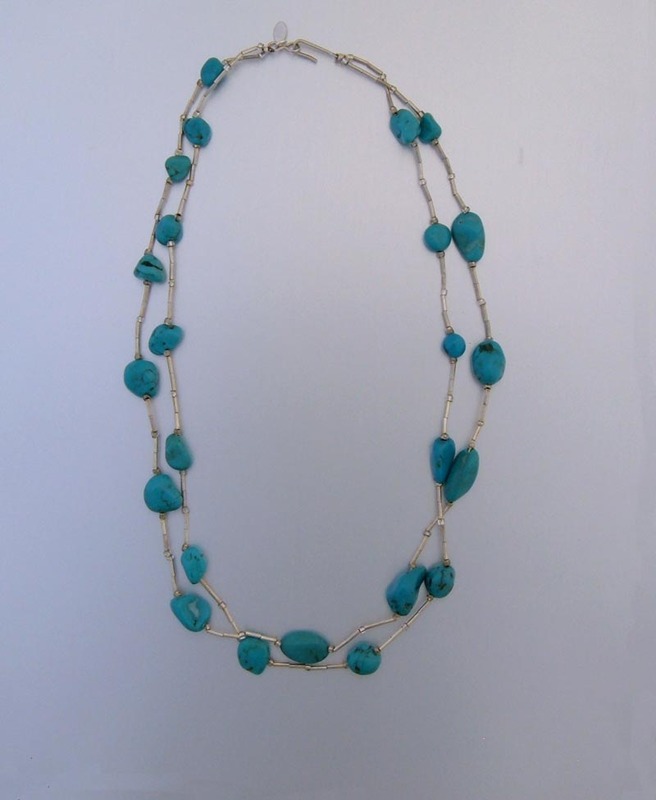 I hope this 18" necklace provides you more than just a great feeling. 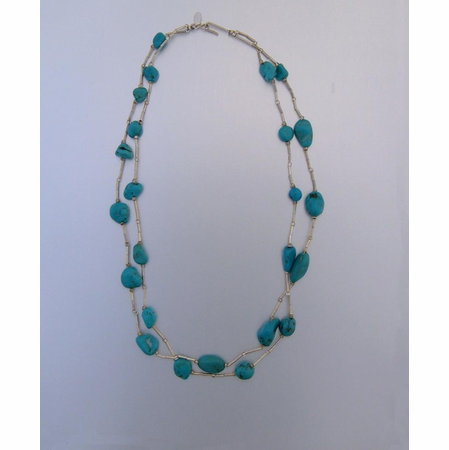 This necklace will make a perfect match with most any Southwestern or western jewelry. 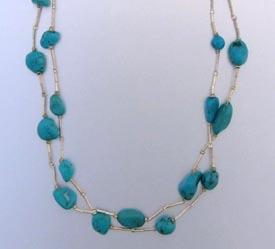 Also is a perfect necklace for the hook bail pendants I offer.